Do you need a special reason to share joy and inspiration with others? We think that ‘just because’ is the best reason. That’s why in January (and despite holidays) we’ve made seven new effects. Use them to spread the winter miracle, make a funny face montage with Gollum from LoTR or give a brand new look to your travel photos. Be sure to check the new artistic effect in Ben Heine style and put your face on a Time magazine cover. Our old photo editing service required a redesign for a decent period of time. That’s why we have decided to develop a completely new look for Editor.Pho.to and update it with many awesome features. Now all is done and dusted and we are proud to show you one of the best photo editors on the web! We have worked a lot to develop a neat and easy-to-use interface (don’t you think that it reminds of the new look of Makeup.Pho.to service, which we’ve recently updated as well). 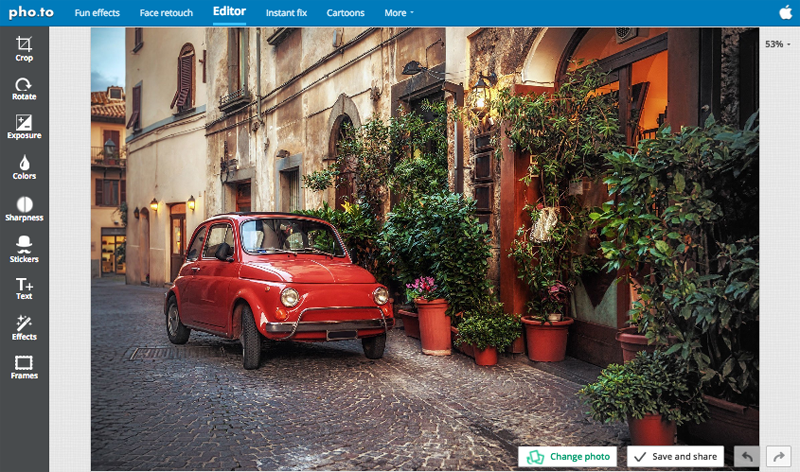 New Editor.Pho.to works even faster and allows you to see the results in real time. 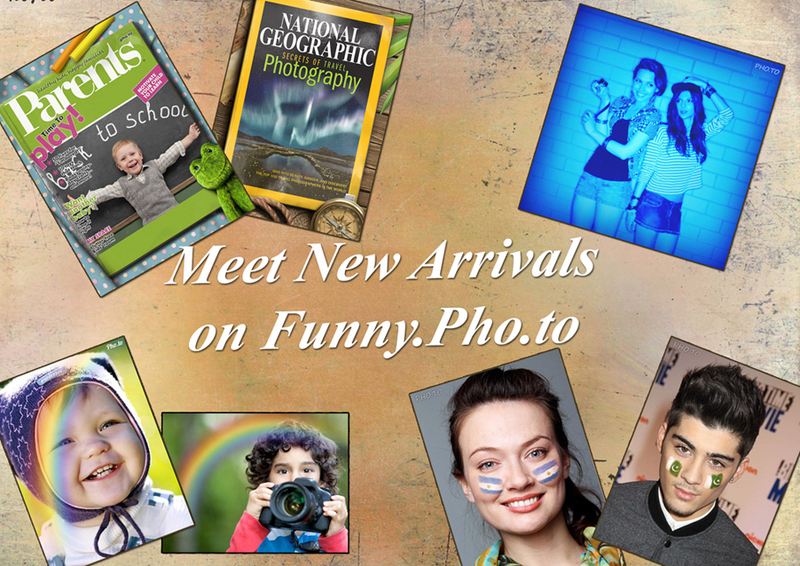 New marvelous arrivals wait for you on Funny.Pho.to! Express your creativity and edit photos from autumn photo shoots with our new photo templates. Here you’ll find a brief review of new effects and a few ideas on serial photo editing, when two or three effects are applied one-by-one to make a real masterpiece. 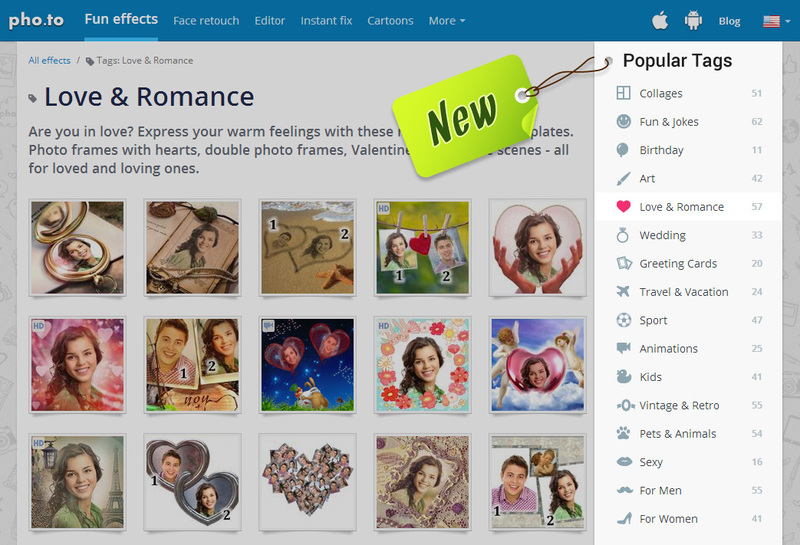 Fantastic news: now it’s far easier to browse through photo templates on Funny.Pho.to thanks to the new sidebar. It lets you switch between different tags and find suitable effects. Check it right now! Birthdays, Weddings, Romantic Dates, Travelling – you know that we have frames, filters, and effects for any case. And what we know is it was quite a challenge to find related stuff. Not any more! Now the whole list of effects for any event (or any person) is one click away – under a special tag in the new sidebar. Do you want to get a new avatar and attract new likes and comments to your social page? Then take a selfie, but a good selfie! Photographed by Dan Forbes, edited with “Birthday owls” photo template. 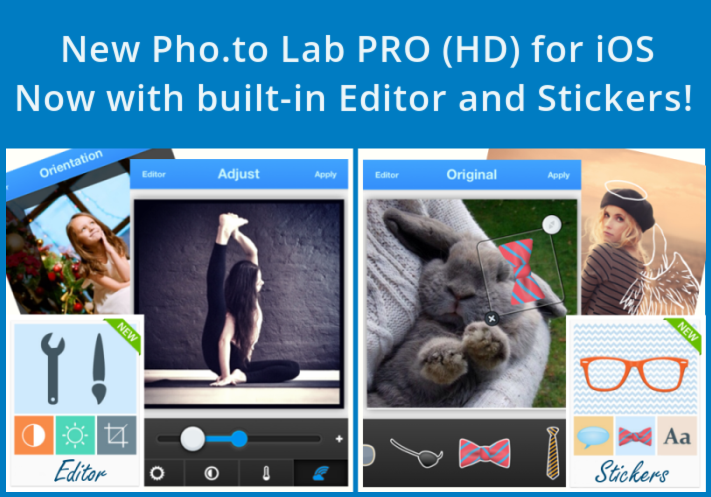 Pho.to Lab PRO and PRO HD versions for iOS have recently acquired new marvelous features. These features are already available in the free version of Pho.to Lab, and now PRO users are also up-to-date with the changes. The update of both apps includes a new Editor mode with extensive collection of tools that let you enhance and adjust your images quickly and easily. Now you can add a customizable text and funny stickers to a photo. Don’t forget to check our new “Draw on photo” feature. So, what’s new? Let’s go into details. Easter is Coming. Make Cool Greeting Cards and Learn Some Funny Facts about Easter! 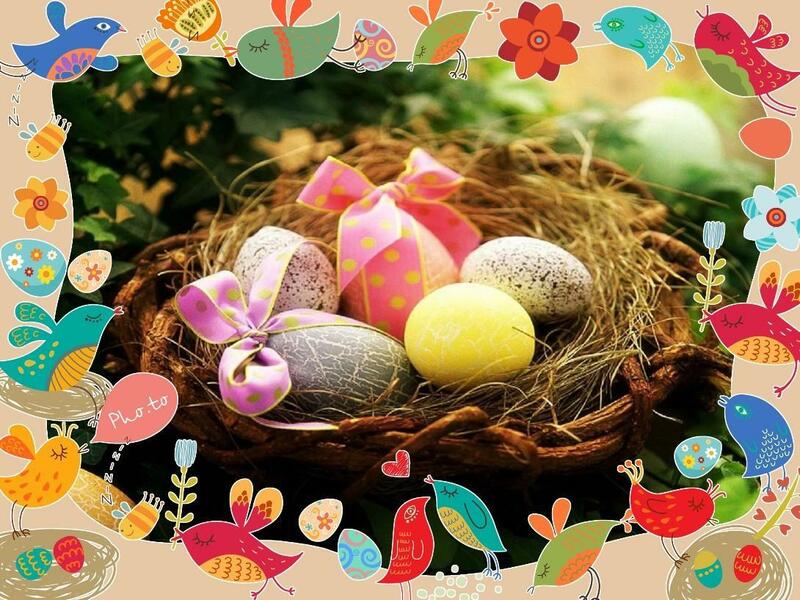 120 mln cards are sent, given or exchanged on Easter in USA. There is no Easter Bunny in Sweden. Instead, their kids wait for Easter Wizard to come! 60 000 year old decorated Ostrich eggs were found in Africa! Easter and Halloween are holidays that people with sweet tooth like best of all as on these days US people eat the most candies. People started cooking chocolate Easter eggs in early 1900s. Before that everybody used to eat ordinary chicken eggs (although painted). The most widespread Easter symbols are: the Cross, Eggs, Rabbits, Easter flowers (tulips and trumpet lilies), Baskets, Nests, springtime and Simnel cake. Households in America spend $131 on Easter each year, $14.7 billion in total. 76% of people eat ears on chocolate bunnies first. What about you? There are a lot of Easter photo frames and cards on Funny.Pho.to? Continue reading Easter is Coming. Make Cool Greeting Cards and Learn Some Funny Facts about Easter! 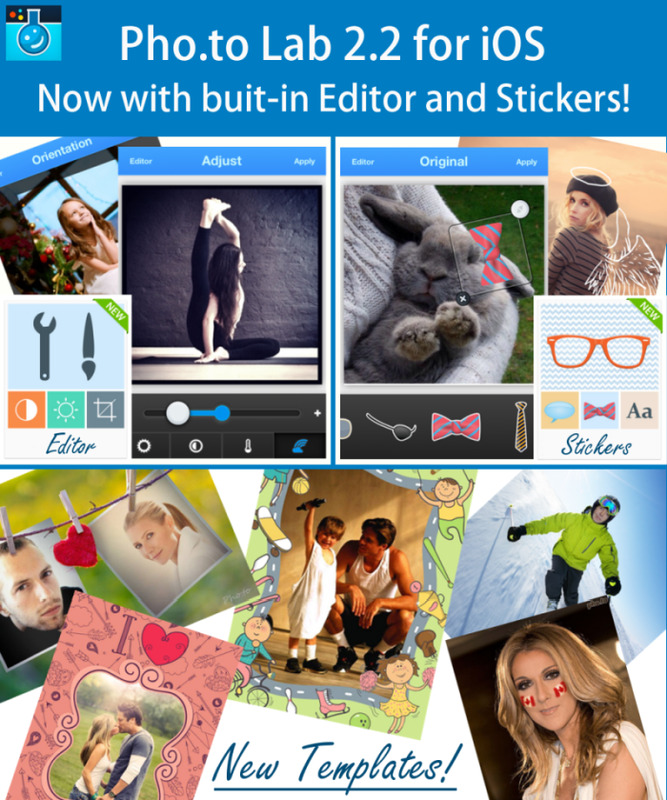 Pho.to Lab 2.2 for iOS: Now with Built-in Editor and Stickers! Hot and fun update of Pho.to Lab for iOS brings extensive range of features to your mobile devices. The app is free to use and is already available on the App Store. 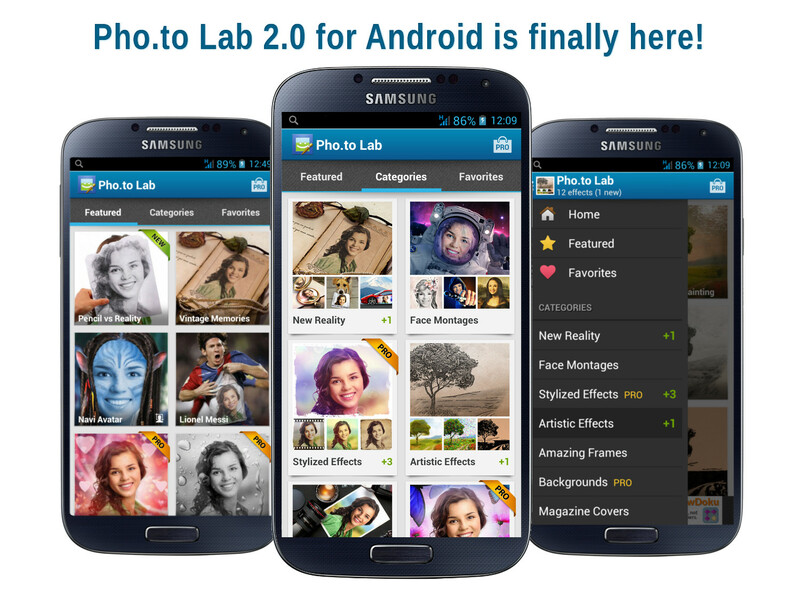 Welcome the redesigned Pho.to Lab 2.0 for Android! Several weeks ago we have released the redesigned version of Pho.to Lab PRO for Android. Nevertheless, the most of you use free version and your time has finally come! Starting from today you can download the brand-new version of Pho.to Lab 2.0 for FREE! The major change is, as we mentioned above, the completely re-designed interface. Large previews for categories and templates are added for you to find the right effects faster and instantly see any given effect in detail . Another usability change is a quick navigation bar available from any screen (except of home screen where it is not necessary). Navigation bar helps to easily switch between groups, access the home screen or select your Favorite effects.